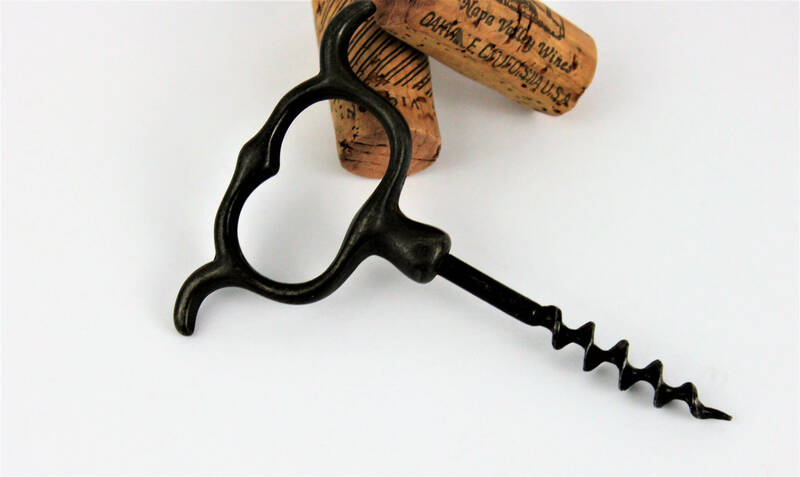 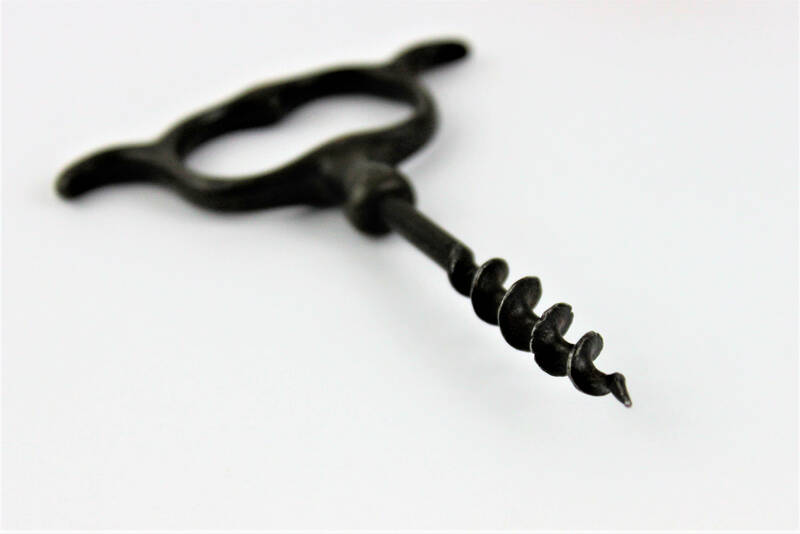 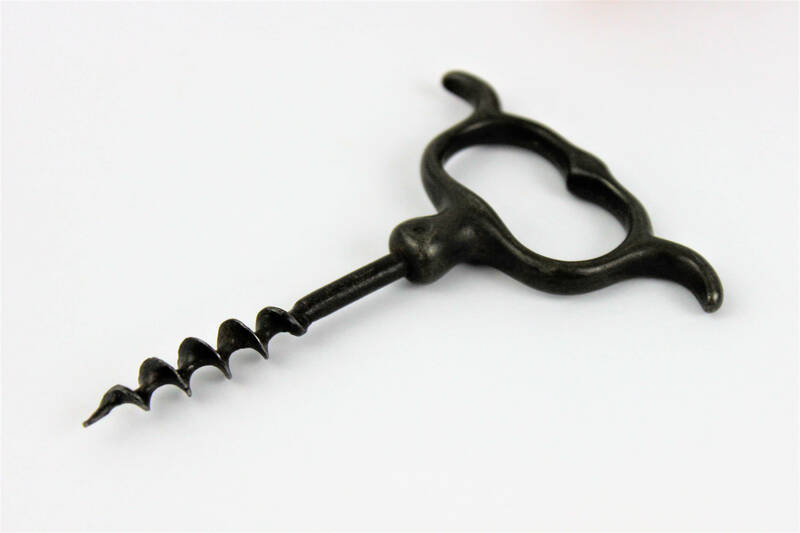 This are known as a Four Finger Steel Pull corkscrew designed to fit four fingers on the handle it is made with a two piece design the handle and worm (screw) are pinned together. 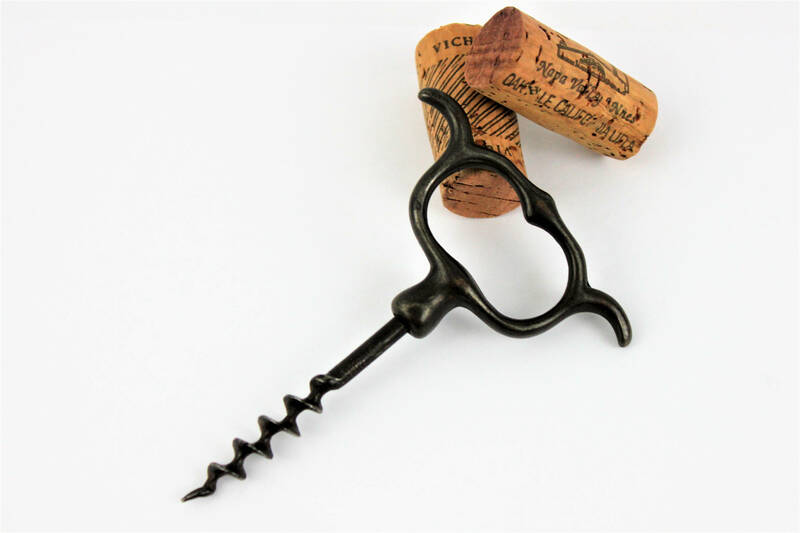 This has a bladed worn (screw) designed to cut through the cork for easier of use. 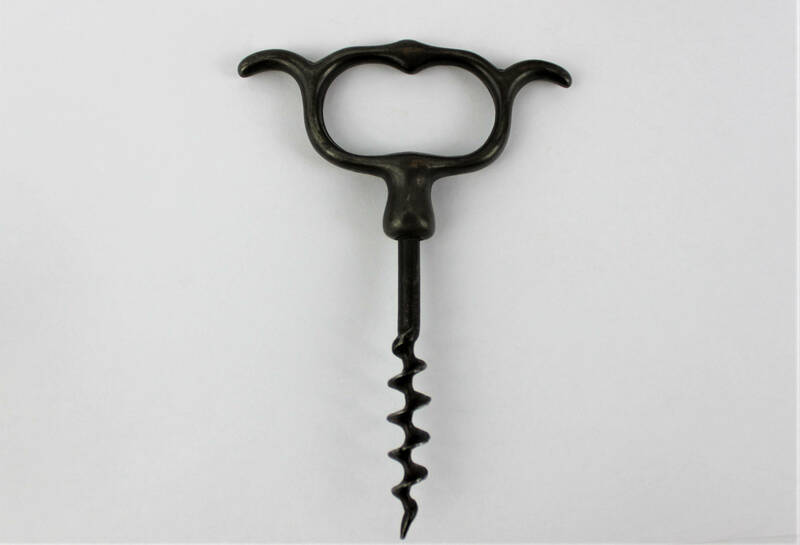 Condition: very good with sharp bladed worm, worm has a couple chip on outer edge this does not hurt its performance.